Sunrisers Hyderabad bowled a nagging line and length to restrict Chennai Super Kings to 132 for five. 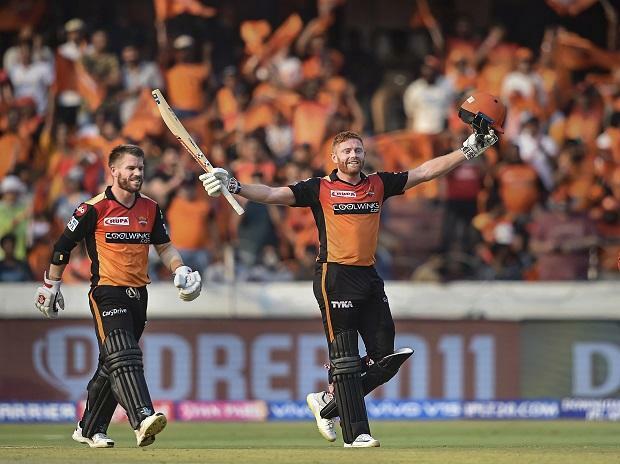 In Match 33 of VIVO Indian Premier League (IPL 2019), Sunrisers Hyderabad, led by Kane Williamson crushed Dhoni-less Chennai Super Kings (CSK) by six wickets at the Rajiv Gandhi International Stadium at Uppal, Hyderabad on Wednesday. Struggling with back spasm, Chennai Super Kings skipper Mahendra Singh Dhoni was rested and for the first time he is not leading the yellow brigade since 2010. Earlier, Sunrisers Hyderabad bowled a nagging line and length to restrict Chennai Super Kings to 132 for five. Leading the side in the absence of Mahendra Singh Dhoni, who was rested for the game because of back spasm, Suresh Raina opted to bat after the coin landed in his favour. But the decision did not work wonders for the visitors as the Sunrisers bowlers produced a disciplined effort to pick up five wickets for 22 runs. Opener Faf du Plessis top-scored with a 31-ball 45 and added 79 runs for the opening wicket with Shane Watson (31). CSK did not have much to cheer about after that as the hosts made a remarkable comeback. Ignored for the World Cup, Ambati Rayadu remained not out on 25 off 21 balls. In a manner least convincing, CSK found their first boundary when Watson's thick edge went flying over the slip cordon. Having added 79 runs in just under 10 overs, Watson was bowled by left-arm spinner Shahbaz Nadeem, giving the home fans something to cheer about after a prolonged wait. The Australia's dismissal triggered a collapse, from which the Super Kings struggled to recover.